Tis the season to get into those Christmas spirits and take a moment to cool down from the hot Aussie summer that we all know and love. Be the talk of the table this year and amaze your friends and family with these delicious cocktails from Ocean Spray! 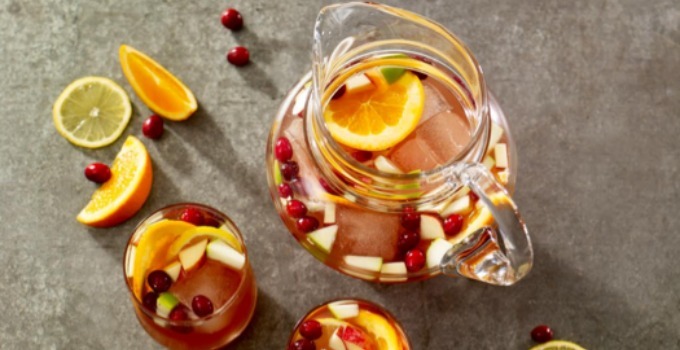 These seasonal recipes are perfect for any Christmas occasion to add some flavour to your festivities and make this season pitcher perfect. Want a more refreshing beverage to coddle Christmas night? The Rosemary Citrus Cooler is the one for you. Bring out your inner bartender and quickly whip up this baby with all ingredients easily available in your local supermarket and liquor store…and while vodka might not fix all your woes, it’s certainly worth a shot! INGREDIENTS 28g vodka 85g Ocean Spray® Ruby Red Grapefruit Juice Drink 14g strawberry puree 14g Elderflower cordial 56g lemon-lime soda Rosemary sprig, garnish DIRECTIONS To a tall glass filled with ice, add all ingredients. Garnish with a sprig of rosemary.